Ahead of Sushma Swaraj's visit, Myanmar soldiers take over Indian territory. In an affront to India, on May 1, just days before External Affairs Minister Sushma Swaraj visited Myanmar, its soldiers and villagers intruded into Indian territory and forced residents of two Indian villages to flee. The Myanmarese intruders also removed the pillars marking the international boundary between the two countries at N Satsang village located in Manipur's newly created Tengnoupal district. 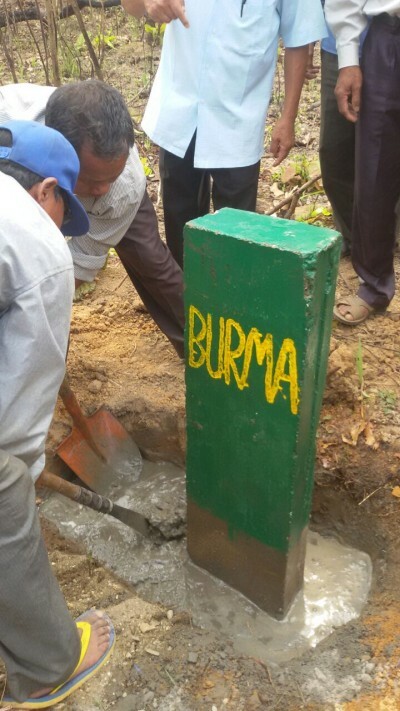 In its place, the intruding Myanmarese soldiers planted its own border pillar, thus taking over a large chunk of Indian territory. The Myanmar army had tried intrusion a few days earlier. 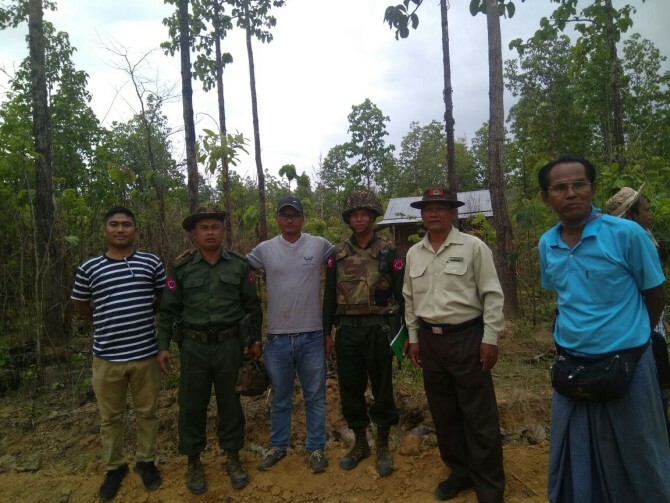 On April 29, 10 armed Myanmar soldiers reportedly intruded into H Lhangcham village close to Moreh in Tengnoupal district and vandalised a saw mill there. The village is located between border pillar number 75 and 76, about 5 km south of the Moreh police station. About 70 people live in 14 households in the village which has five saw mills, with the villagers engaged in timber trading. The additional district commissioner of Moreh, the 11 Assam Rifles platoon deployed there along the international border, and local police were informed about the incident by the villagers. The Indian side of the border is inhabited by people belonging to the Maring Naga community. After Myanmar soldiers forced their entry into the villages, residents of N Satsang and Choktong fled to safer areas. N Satsang has 26 houses and Choktong village has 36 households. N Satsang village chairman T K Kothil Maring told this correspondent that people from the nearby Setchyang village in Myanmar came with their soldiers, dismantled Indian boundary pillar number 82 and erected their own pillar, at a spot that is about 95 km from the capital city of Imphal and about 50 km from the district headquarters Tengnoupal. Although N Satsang and Choktong are hardly 10 km from the border town of Moreh, there is no motorable road to reach the villages. On May 1, a United Naga Council of Manipur delegation along with Maring and his counterpart from Choktong village, Th Leinai, and some villagers visited the international border and re-erected pillar number 82 in the earlier location. Maring said a Myanmarese army patrol along with villagers complained to the local army commander about this development. Soon after, Myanmarese soldiers along with local villagers reached the site, pulled down the pillar at its original site and erected it inside N Satsang village itself. "We can't part with our traditional land, this is our birthright as we got it from our forefathers," Leinai asserted. "We want our government to protect our land. They re-demarcated the area and as a result two of our houses fell on the newly demarcated zero point of the international border so they even dismantled our houses," Leinai said, adding, "We are very upset with these developments." 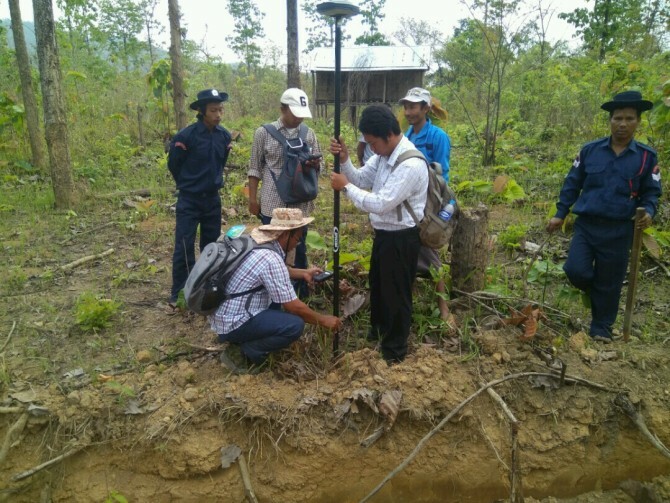 The Myanmarese soldiers and their villagers alleged the pillar in contention had been shifted unilaterally from its original position, and claimed that Indian villagers had occupied 420 metres of Myanmar land in the same area. The United Naga Council is a socio-economic and cultural body of various Naga tribes residing in Manipur and has been fighting for the rights of the minority Nagas. The Meiteis, who live mainly in Manipur's valley region, is the dominant community and occupy power in the state. Gaidon Kamei, president of the United Naga Council of Manipur, told this correspondent that "despite repeated plea from the locals, Indian survey officials never visited the disputed site. They only visit Moreh town, hold talks with Myanmarese officials, exchange papers and notes. This problem has been going on for decades." "In fact, the Myanmarese army and its local people have illegally occupied a large chunk of land along the international border on the Manipur side from pillar number 81 to pillar number 88," Kamei revealed. "Now the bone of contention is pillar number 82." Since no one visited the site, on May 1, an United Naga Council of Manipur delegation including Kamei and general secretary S Milan, along with local villagers and the chairmen of N Satsang and Choktong villages, visited the border and erected a pillar in its earlier location. "When we were erecting the pillar, we saw four Myanmarese army personnel on a motorbike watching the action. Within one hour of our departure, around 6 pm, the Myanmarese army with local villagers reached the spot and dismantled everything," Kamei said. "They erected a new pillar after forcibly grabbing our land. Now they claimed that about 420 metres land of Myanmar was taken inside Indian territory by our villagers," Kamei added. "We submitted a detailed representation on May 7 to Prime Minister Narendra D Modi, External Affairs Minister Sushma Swaraj and to our NSCN-IM of collective leadership, which is engaged in peace talks with the Government of India," Kamei added. "Our demand is to send concerned Indian and Myanmarese officials to the spot, take the local villagers and their chairman, discuss the issue at length and settle the dispute once and for all," Kamei said. "In tribal areas the village chieftains are our live documents. Officials should ask them to point out the exact pillar spots that were erected. They are our final proof." The Myanmar army's intrusion has created fear among the villagers, Kamei said, adding, "The villagers want basic amenities including roads and a security camp of Assam Rifles or the India Reserve Battalion to be set up permanently." A committee was constituted by the then Manipur government on August 26, 2013 to make an on the spot study of the areas and settle the dispute by talking to concerned officials and local people. The chairman of the committee was the present chief secretary of Manipur, J Suresh Babu. But the committee could not do much barring a few meetings as the state has limited powers. Since the issue involved another country, only the Government of India can resolve the issue, Kamei said. 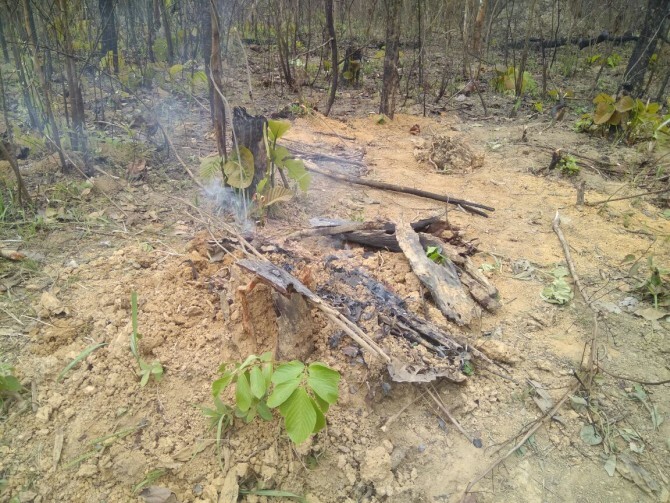 Security sources confirmed that anti-India insurgent groups including the Kanglei Yawol Kanna Lup and Kangleipak Communist Party-Noyon faction besides the NSCN-Khaplang group have their hideouts in the Myanmar jungle just opposite the N Satsang and Choktong border villages. There is no proper road communication to these villages. A large number of locals on both sides of the international boundary are infected by malaria. All these factors make survey staff avoid the disputed site so they visit Moreh town for meetings from time to time. Since India and Myanmar have good diplomatic relations, Kamei wanted the Narendra D Modi government to take steps to settle the border dispute at the earliest. From Imphal, Manipur's PWD, power and IT Minister T Biswajit told this correpondent, "Our government is taking all possible steps to settle border disputes with Myanmar." "We will not give even an inch of our land to anyone at any cost."